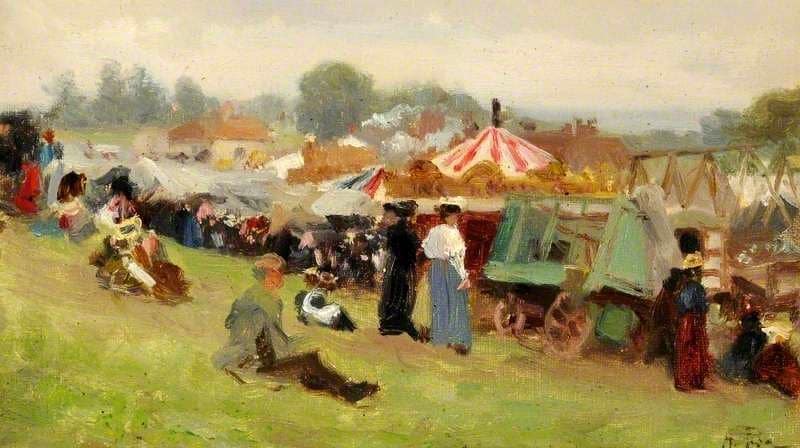 Fairs have been held on the Heath since the mid 1800s, covering vast areas of East Heath to Spaniard’s Road. Before that, there had been fairs at Flask Walk in Hampstead since the 17th century, and another flourished in West End until it was shut down for rowdiness in 1820. 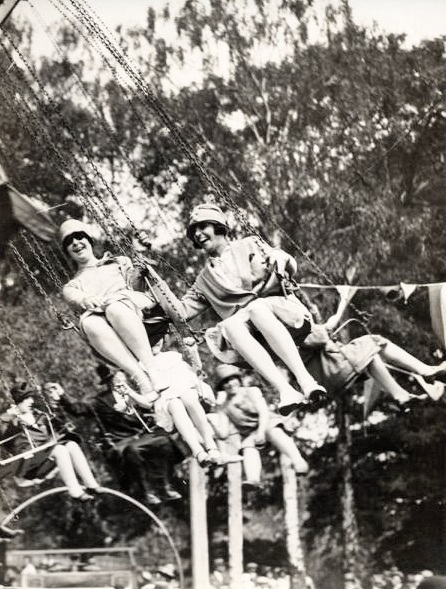 The popularity of the fairs on the Heath exploded after 1871 when, just after the Hampstead Heath Act, the Bank Holidays Act created four public days rest. The Heath’s Bank Holiday fairs regularly attracted upward of 30,000 people at the August holiday, and 50,000 on Whit Mondays. Attendance records were broken when an estimated 200,000 people descended on the Heath one Easter Monday! The crowds were so huge because, at the time, there weren’t many other places for them to go on their days off to escape the smog and the rush of the city. According to the press, the fairs were a “congregation of working-class Londoners, everywhere swarming in multitudinous clusters, like flies upon a batch of cakes in a baker’s sunny shop window”, and the fair entertainment was mostly organised by the crowds themselves. It included games of ‘Kiss-in-the-Ring’ and dancing “promoted by the presence of many Italian and English performers of the grinding organ” (a portable musical organ designed for the street). Donkey rides were very popular, and a Donkey Derby was held annually during the fair. Donkey boys used to congregate on the Spaniards Road, their donkeys decked with white saddle cloths, but unfortunately the donkeys were not well treated. There were also coconut shies, skipping ropes, sweetmeat vendors, silhouette artists, and a machine with a ‘galvanic battery’ that gave people an electric shock. 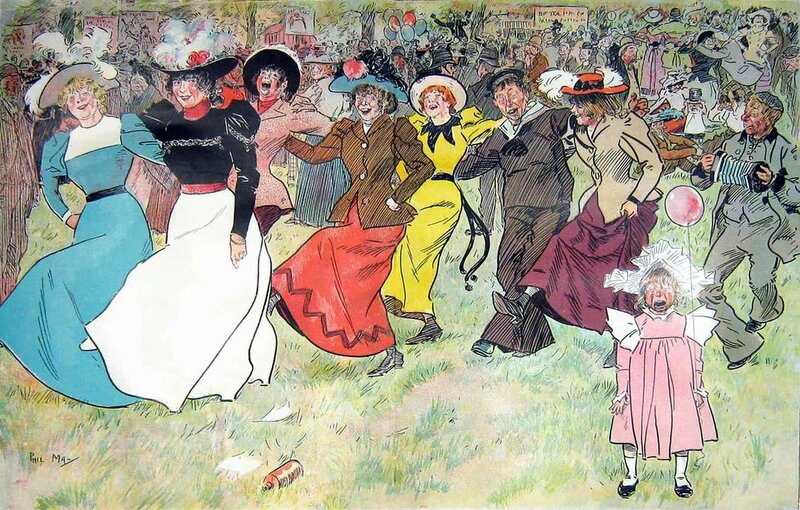 The Heath and its fairs became known nationally as ‘Appy Ampstead’ in the 1890s when it was celebrated in a song by Albert Chevalier and in the cartoons of Phil May, who’s image of the ‘Cockney Carnival at ‘Appy ‘Ampstead’ was published in magazines like Punch. The fair also brought middle class spectators, who usually watched from their cabs and chaises from Spaniard’s Road, but Charles Dickens used to brave the fair itself and Karl Marx was said to have ridden a donkey at the fair in the early 1850s ‘with more fervour than skill’. The crowds on the Heath brought some challenges. Fires, rowdiness and violence were a problem at the fairs and also at the bonfires and processions held from around 1850 on Guy Fawkes day, until a committee was set up in 1880 to regulate the crowds. 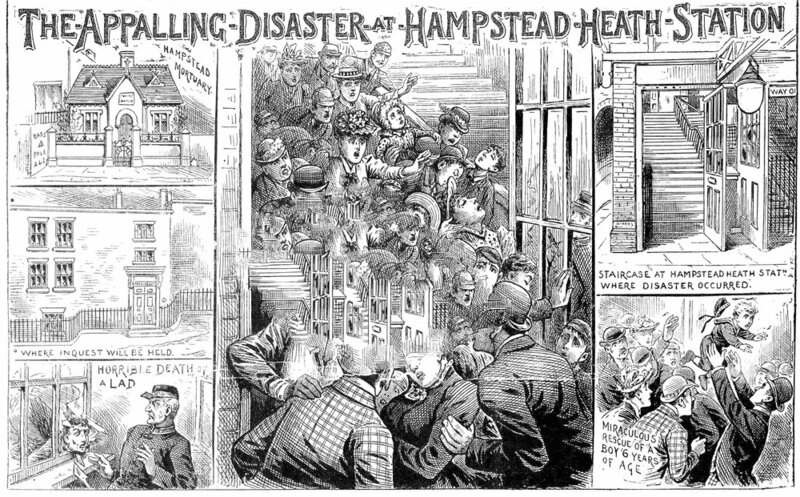 In 1892 nine people died and thirteen were injured during a thunderstorm near Hampstead Heath station, in a stampede to escape the rain. So many children got lost at every fair that a lost children’s tent was set up to help reunite them with their parents. By around 1910 the Heath had its Bank Holiday festivities under control, and there were fewer assaults and thefts at what had become gigantic child-oriented parties. 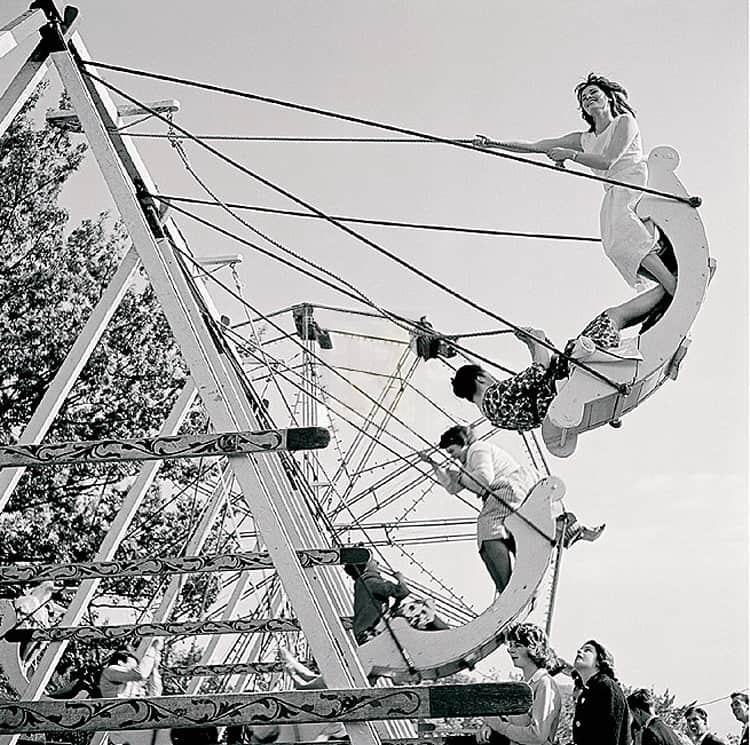 The fairs continued through the decades, even during the wars. Against the backdrop of WWI, Mark Gertler was inspired to paint his most famous British modernism painting, Merry-Go-Round, at the Easter Fair on Hampstead Heath in 1915. He described the fair as a ‘Blaze of whirling colour. Multitudes of people. Bright feathers, swinging in and out of the clouds in coloured boats’. Some of the entertainment sounds cruel to modern ears - a 1945 newspaper clipping describes how for the price of sixpence ‘young and old could have two glasses of lemonade, a turn on the roundabouts and the swings, or inspect “the fattest girl in the world”; £500 for her equal’. By the 1960s there were roundabout rides, shooting galleries and bingo stalls, and a man with a tame macaw selling photos for a shilling. Stalls sold peanuts, joss sticks, balloons and paper hats. Fairs today are quieter, but they still come every year. You can catch them at the Easter, late Spring, and August bank holidays.